august 23rd was to be the hottest day of the year. had i known this i probably would not have scheduled two photo shoots right in a row…whew! it wore me out! but man oh man did i have a great time shooting…i always feel so energized when i am out shooting and meeting new people and families. its so much fun to be able to hang out and talk to the families. 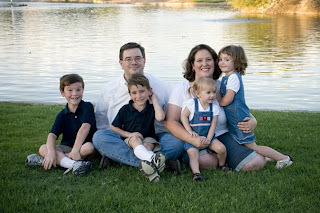 the first family i shot had four adorable kids! seriously, they were sooo cute! coming from a family of six myself, it was amusing to watch each kids personality shine through…i could see a little of myself in each of them. with so many different personalities, it was quite the challenge to get all four kids in the same photo….i do love a challenge!